As entrepreneurs and creatives we find ourselves burning the midnight oil a lot. Missing out on more than a few hours of sleep. Maybe even sacrificing our bodies by grabbing for fast convenient foods for sustenance because we are always “out and getting it.” But the truth of the matter is we must take care of ourselves from the inside out as well. And when we aren’t, stress and all that good stuff usually shows on your skin. So while you’re making sure you’re out there getting it, make sure you’re taking care of your body and maintaining that beautiful, “I Woke Up Like This” Glow as well. 1. Pay Attention to What You’re Fueling Your Body With. I will go ahead and get the not-so-fun stuff out of the way by saying mind what you ingest. When your diet is full of sugar, fatty foods, and alcohol, it shows on your face. So you must make sure you eat and drink these things in moderation. Do your best to fuel up on lots of fruits and vegetables to ensure your glow comes from the inside and shines outward. Also, by drinking plenty of water, you keep your body hydrated and continue to flush toxins that would normally clog your pores and wreak havoc on your skin. I personally like to drink lots of green tea in the run of a day as well, as it is an antioxidant. When I slack on my green tea and water intake, I can always tell in my face. TIP: The easiest ways for me to add veggies to my diet are by eating a salad or drinking a smoothie. When I’m slacking on my daily veggie intake, I replace one of my meals with a simple salad or a quick and easy-to-make smoothie like this. 2. Create a skin care regimen and stick to it. If you don’t have a skincare regimen in place, I suggest creating one that allows you to nurture your skin daily. Determine your skin type and shop for products that target your needs. For your regimen, I suggest starting off with a cleanser, toner, and moisturizer for daily use. And for weekly maintenance, add an exfoliating product and masks to give your skin the pampering it needs. Exfoliation sloughs off dead skin cells so that a brighter complexion can emerge. Masks of different varieties will give your skin the extra boost it needs to thrive and glow. For example, clay masks draw out toxins, while sheet masks add hydration to dry, dull skin. TIP: Use a serum or hydrating oil on your face at night to maximize your glow! I layer RoseHip Seed Oil over my moisturizer at night and wake up with bright, hydrated skin! 3. Keep effective beauty products on deck. Now I will keep it all the way real with you by saying that my skin is a work in progress. As someone who has dealt with acne since a teen, I’ve had my share of breakouts and hyperpigmentation. And while my skincare routine has helped tremendously in keeping both at bay, I always give my skin a little help to keep it looking polished. I wear a lightweight, water-based foundation like MAC Face and Body Foundation to put my best face forward during the week. It gives your face a dewy finish that makes your complexion look so healthy! I also use MAC Mineralized Skinfinish Natural to give my face a natural, polished finish. And of course, if your glow ain’t all the way up to par yet, put a good highlighting product in your makeup bag! Read more about my favorite highlighting products here. TIP: Add a highlighting powder just above your cheekbones to give your skin a beautiful, sun-kissed glow! We all can get pretty busy when it comes to maintaining our lives and our businesses. And oftentimes we neglect ourselves in order to "buy time" for other pressing matters in our lives. But know there is nothing shameful about taking the time to care for yourself-- inside and out. If you aren't already, feed your body the nutrients it needs to thrive. Create a skin care regimen for yourself and stick to it. Purchase that pretty new highlighter that makes your cheekbones shine bright like a diamond if you want to (Fenty Beauty Killawatt Freestyle Highlighter in Trophy Wife, I'm looking at you). Anything that makes you feel like you're presenting your personal best self to the world, I think you should do it. Just remember it's okay to pamper your skin. You're gonna need it for the duration of your life, so you might as well treat it with care. Because once you make your self-care and personal care align, that glow will be undeniable, honey. 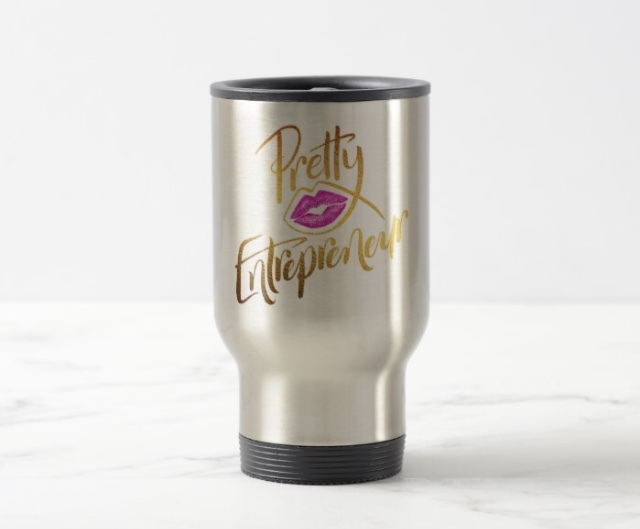 HOW DO YOU MAINTAIN YOUR GLOW AS A PRETTY ENTREPRENEUR?